#ThingsISayAfterSex Has Become a Trend on Twitter and No One Have Any Idea Why! Social media is a part of our lives and no one can deny this fact. But the best part is new trends every day. Twitter is the best with this. 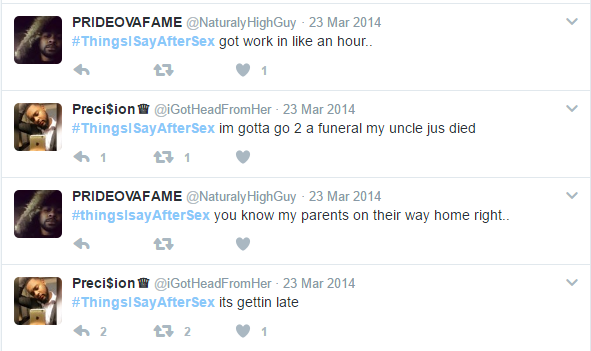 #ThingsISayAfterSex is the new trend which is popular on Twitter today! And nobody knows the reason. Hahaha RT @Astrologysex: #thingsIsayaftersex – #Virgo – you were the best I’ve ever had… but i’m expecting a guest. #thingsIsayAfterSex you know my parents on their way home right..